Mr. James W. Lowry, P.E. Mr. John A. Pruett, P.E. Mr. Ted A. Zachwieja III, P.E. Mr. Arthur D. Hallstrom, P.E. Mr. Davis A. Cotton, Jr., P.E. Mr. Samuel T. Butzer, P.E. Mr. Jennings L. Davis II, P.E. West Virginia took FIRST PLACE in the Region in PAOE points this year. Our third time finishing in First in our 5-year history. 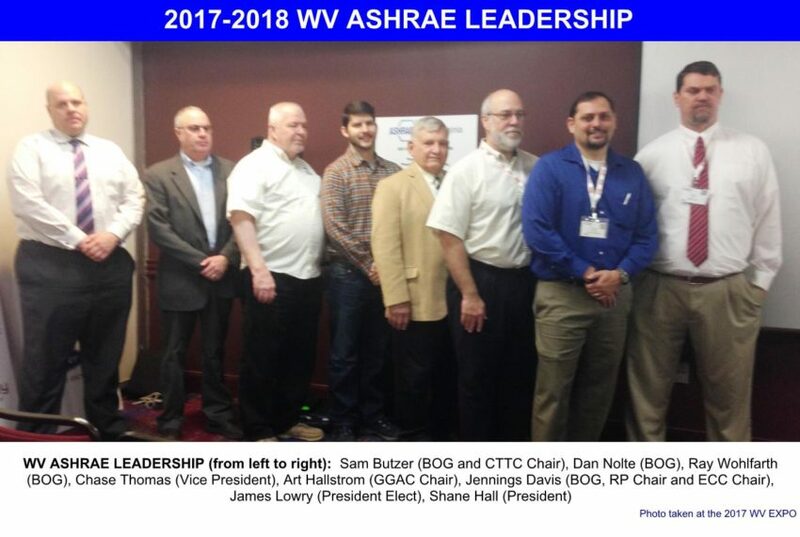 WV ASHRAE had an OUTSTANDING 2017-2018 PAOE performance, finishing in 1st place in Region VII with 16,692 points. Overall, we finished in 15th place in the WORLD. With our PAOE performance this year we maintained our Premier Chapter Status, one of only five in the country. Chapter Operations – We finished 1st in Region VII and 13th overall in the world. CTTC – Chair, Sam Butzer, finished in 1st place in Region VII and 24th highest point total in the world. GGAC – Chair, Art Hallstrom, finished in 1st place in Region VII and 3rd highest point total in the world. Membership Promotion – Co-Chairs, Will Dempsey and Art Hallstrom, finished in 7th place in Region VII. We had a slow year in maintaining our membership numbers, in fact we ended up down a few members from the start of the year. 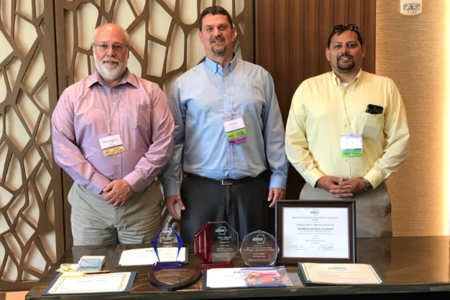 We all need to support our Chapter Membership Promotions Chair and our Chapter by working to maintain and increase our membership for the coming year. Student Activities – Co-Chairs, David Cotton and Chase Thomas, finished in 2nd place in Region VII. Research Promotion – Chair, Jennings Davis, finished in 1st place in Region VII and 20th highest point total in the world. 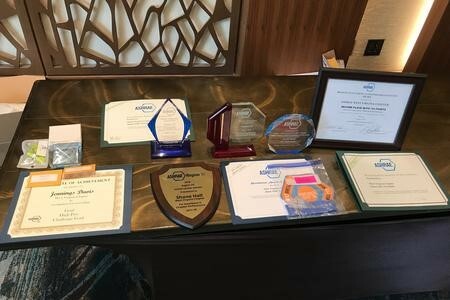 Our third annual Day of Learning and Trade Show was a big success and helped us reach this achievement for the second year in a row. Historical – Co-Chairs, Joe Rigney and Jennings Davis, finished in 1st place in Region VII and tied for 21st highest point total in the world. Electronic Communications – This is new PAOE category and this is the first year points were awarded. Chair, Jennings Davis, finished in 1st place in Region VII and 8th highest point total in the world.